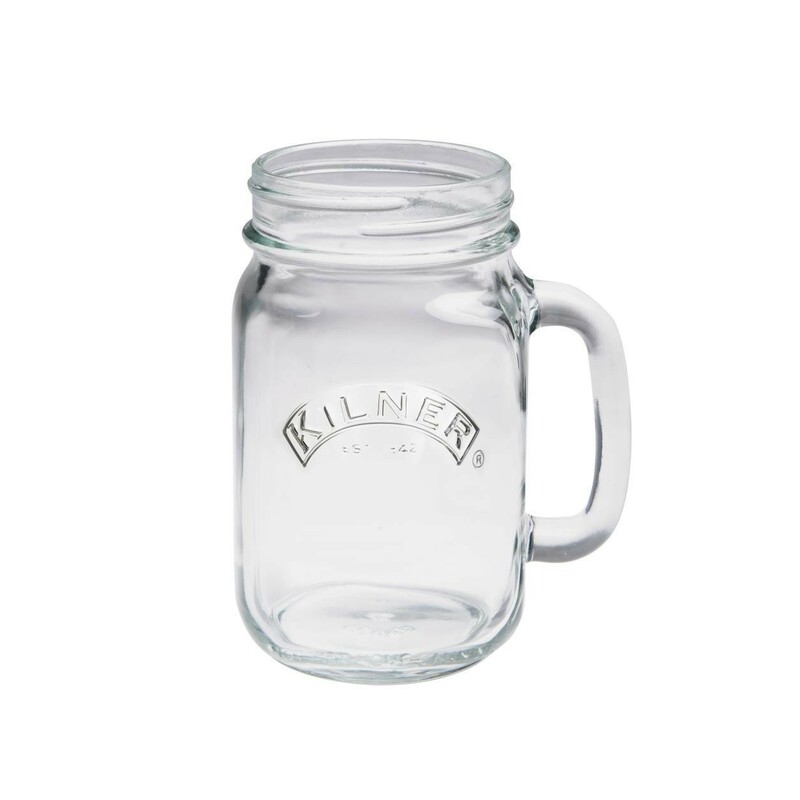 Kilner's unique range of glass handled jar glasses, a more quirky way to serve your drinks. These glass handled jar glasses can also be used with the Kilner preserve screw top lids. All lids are sold separately.